Sharing ideas and communicating well are the two wonderful keys to any relationship followed by Aquarius and Libras. They always find each other quite co-operative and smooth going. There is always tremendous strength and many opportunities for these two to accomplish a lot together. One slight issue could arise over Aquarius’ deliberately provocative nature, particularly when it comes to rebelling against authority. 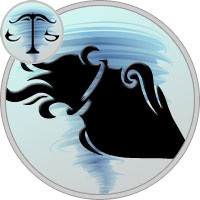 Libra likes a smooth ride throughout life and will not appreciate Aquarius stirring up trouble in this way. However, Aquarius is untroubled by Libra’s rebukes and will carry on regardless. You can almost picture Libra saying of Aquarius “You can’t take him anywhere!” in a mock exasperated tone of voice, while secretly admiring the Visionary’s power to make waves in life. One of the strengths of Aquarius and Libra compatibility is their shared sense of humour; their ability to not take themselves too seriously will be an enormous asset as this couple matures and grows. Aquarius and Libra have many similar interests such as travel, friends, family, children, a good education, religion, idealism and art. They have their differences, but have the same dreams and ideals as well. Their relationship is fun at first, but as things progress so the tension, if they interfere in each other’s personal life too much. Aquarius can find Libra to be too domineering and Libra looks at Aquarius as one stubborn person who has no point to be like that. Aquarius thinks such squabbles are a big waste of time. They use this as a strategy showing Libra that life is too short and Libras apologize so sweetly and the quarrel is over in no time. Aquarius and their high tolerance can be taught quite easily to Libra and their sensitive qualities, and the Libra’s calm nature can be taught to Aquarius as they tend to be a bit over excited about certain issues that arise. Aquarius and Libra always make a high spirited relationship in all fields of life. Their brightness and spark can be noticed whether they are together at home or at office. If they are friends and colleagues, they ought to have many arguments but they always prove to be truly helpful friends to each other. It is better for these two to have no joint business ventures without any third responsible one to look around, since both are intelligent and creative but their moodiness can cause some problems especially if they start something new which needs a lot of hard work. As siblings they have an equal friendship in their relationship with a lot of plans to share and stuff to do together. Relatives are not of very much concern for these people, especially for Aquarius as they love to stay detached from most of the world, so they may not say each other much. Lovers and spouses that make out of these sun signs can always have their bright and moody days but they manage to stay together most of the time. As for parents and children, it is nice for Aquarius children to have Libran parents if they want love and concern more and if friends are needed then surely Aquarius makes the best parents. In fact Aquarius mothers are usually most co-operative and friendly of all the other. Marriage is always the next step after friendship for the Aquarius male. He finds her beautiful and she looks at him as the smartest man. He falls for the attractive and charming personality of the Libra lady. But to enjoy a smooth relationship, they both need to make mutual compromises so that all the differences between them are taken care of. She is one lady who pampers him with her soft love and takes good care of him. She knows when he needs her and doesn’t take even a second more to be there for him. She keeps him warm with her compassion. She makes sure that she doesn’t make him feel restricted with her possessiveness. Aquarius man blends the shades of friendship and romance very beautifully thereby making it a wonderful marriage. He fills her life with new energy and dreams. He adores and respects her and never interferes with her personal space. He loves to listen to her talks and never feels bored of them. They both match up to each other at emotional, physical and intellectual fronts. Even when they experience some kind of differences, they are able to resolve them like adults by discussing about it rather than fighting over it. Nothing is able to stand the purity and intensity of their love. All differences and misunderstandings dissolve in their love. They are able to survive through all the rough phases of their life with their love getting more intense.